Cobalt blue system, which is so totally Luigi's color. 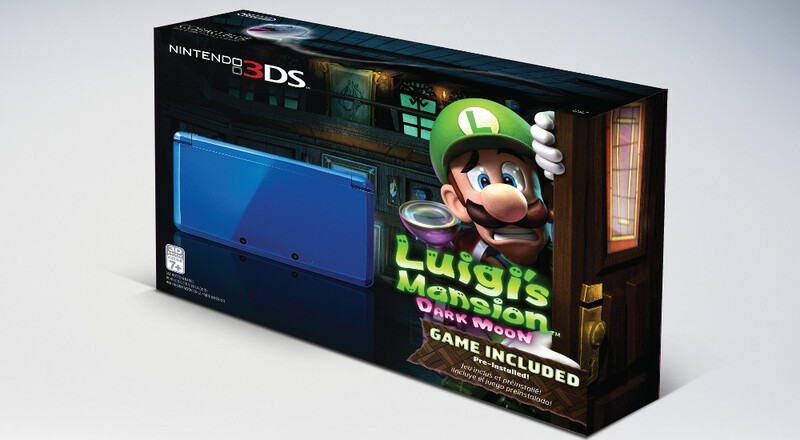 Leaked in a few ads ahead of schedule, Nintendo has finally announced the new Luigi-themed 3DS bundle that will round out the Year of Luigi celebration. The bundle hits North America on November 28 for $179 and includes a Cobalt Blue 3DS system with a pre-installed copy Luigi's Mansion: Dark Moon. Cobalt blue, because Luigi's overalls are blue? Sure. The cobalt-colored system looks a lot like the Fire Emblem: Awakening model that shipped earlier this year, sans the emblem on the lid. We're not pointing fingers, but it sort of seems like Luigi is getting leftovers once again. Year of Luigi indeed. We still love you, you lanky flutter-jumping scaredy cat. Luigi's Mansion: Dark Moon has some co-op features we found a-OK in our co-op review. Players form teams and explore a randomized dungeon called the Scarescraper across four different modes: Hunter, Rush, Polterpup, and Surprise. Hunter mode has you tracking down ghosts in order to scale the Scarescraper. Rush mode has extra obstacles that will leave you scrambling for the exit. Polterpup has Luigi tracking down little ghost dogs, and Surprise mode randomizes the previous three during the course of the game. Plenty of co-op to go around, and it's surprisingly fun when you have a full team of four players in on the action. Page created in 0.6602 seconds.